Yes. You’ve heard this before. But truly, 2018 will be the year of the video. Trust us. With the rising popularity of video-based apps and live-streaming services, including Snapchat, Netflix, Apple TV, Instagram Stories, Marco Polo and Facebook Watch, more consumers are tuning into social platforms and unplugging from traditional media. In 2017, digital ad spending outpaced TV advertising for the first time ever in the U.S.1 Traditional print publishers, like The New York Times and Condé Nast launched their own internal experiential marketing agencies to prepare for the shift from print/web to video and AR. Looking further ahead, 82% of the global Internet is predicted to be video traffic by 2021. Take that in. Nearly everything that you’ll see on the Internet within five years will be in the form of a video. YouTube is outpacing every other social media platform in terms of average daily user time. 360 Videos – Imagine being able to watch the palms sway, the rolls wave in, and the sun perfectly set on a Hawaiian beach from your hotel balcony – before you even check in. By uploading 360-degree videos, brands are allowing consumers to fully immerse themselves in their properties even if they’re thousands of miles away. Online bookings, social engagement and average time spent on site are all being boosted through the use of 360 videos. Augmented Reality – We’ve all heard this buzzword before, but AR continues to gain momentum as brands begin to showcase real-life applications of this emerging technology. By mixing IRL experiences with virtual elements through a mobile device, consumers are easily engaged and entertained with a brand’s content, while their actions are also being tracked and measured. Kate Spade recently ran an AR campaign with Tapage’s My Little Paris app to promote its first store in Paris. Several Kate Spade-branded illustrations located around the city were unlocked when app users scanned attractions like the Eiffel Tower and the Louvre. Consumers who shared an AR-enhanced photo on social media could then redeem a free set of pins at the new Kate Spade store, encouraging visits and sales. Product Reviews and Overviews – Zappos pioneered the online product overview video years ago, being one of the first e-commerce sites to produce videos for almost every single product featured on their site. Most brands have followed-suit, designing their websites for mobile first and heavily loaded with videos. According to Hubspot, visitors who watch product videos are 73% more likely to buy a product. 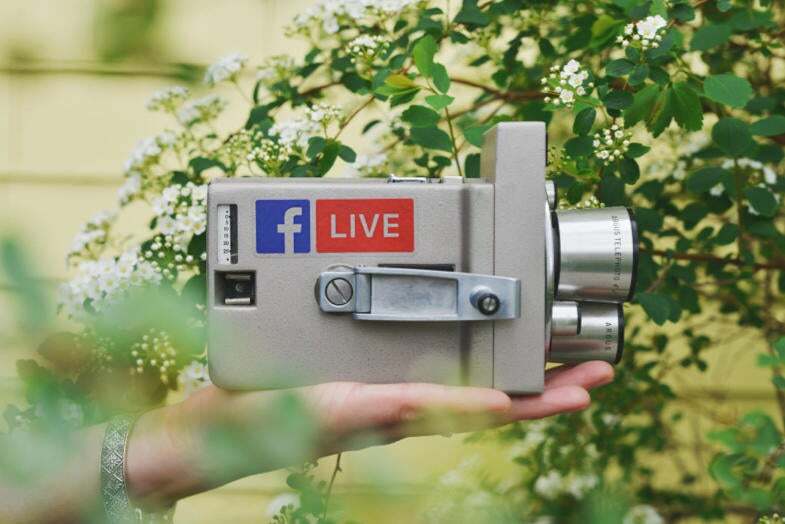 Facebook Live – Facebook Live videos are watched 3x longer than regular videos.6 This is a perfect social engagement tactic for events, brand announcements and product demos. Brands often partner with a media outlet or publication to co-host and gain an even larger audience for their live broadcast. Influencers and branded Facebook Groups are also using Facebook Live as a way to combat the algorithm without having to spend a ton of money on promoting posts. While video content is more time-consuming and costly to produce than other forms of traditional media, the payoff for brands is worth the investment. We look forward to seeing how more and more companies will incorporate video elements into their marketing strategies in the year ahead! 2Infographic: 50% of Gen Z ‘Can’t Live Without YouTube,’ and Other Stats that will Make You Feel Old,” AdWeek, May 2017.